Natural and undyed textiles, although often pushed aside by ‘fast fashion’ markets due to their lack of repeatability and scalability, have potential to reintegrate us with the clothes we wear. Through synthetic dyes the industry aims to establish consistent textiles, stripping the fabric of its natural shades through a variety of chemical baths. What is left are flat textiles that have been chemically exposed, and subsequently, expose the wearer to a surface level connection to the garment and its color. 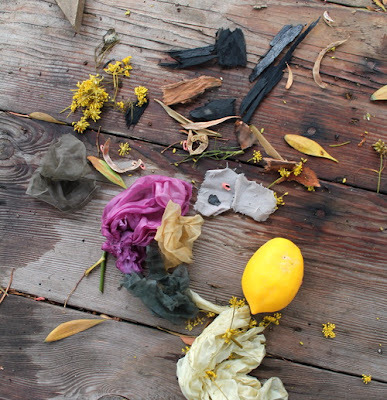 The use of natural dyes allows designers to work within the framework of nature and creatively adapt their skills to naturally occurring sources of color. This process produces hues that feel better on our skin, and look better by illuminating each individuals our own unique colors. Designers, such as Eloise Grey, constructs her garments using tweed fibers made from hundreds of natural hues produced by local manufacturing company Ardalanish. Ardalanish, beautiful tweeds from natural breeds, keeps local breeds of sheep to form yarn which, as their website states, “range from from black and charcoal brown, fawn and silver grey through to a rich creamy white”. 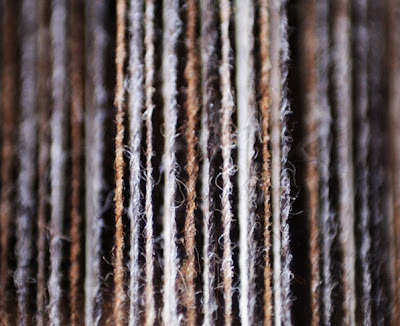 Grey notes the undyed wool illuminates people’s natural skin tones in a way that synthetic dyes cannot achieve. Designer Sasha Duerr intentionally creates her garments around what plants are available to her in the current season. She uses natural sources for color such as avocado rinds, tumeric, carrot tops, and coffee grinds to create radiant textiles. 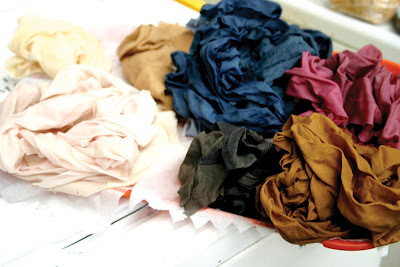 Naturally dyed garments bring a brilliance to your complexion, and your lifestyle choices.